The month of April was one of the coldest wettest in living memory with even a shower of snowflakes followed by winds and hailstones! This resulted in the turf Flat season having a number of fixtures cancelled due to waterlogged ground and other races being run on unsuitable extreme heavy ground not ideal for the majority of horses’ first run of the season. 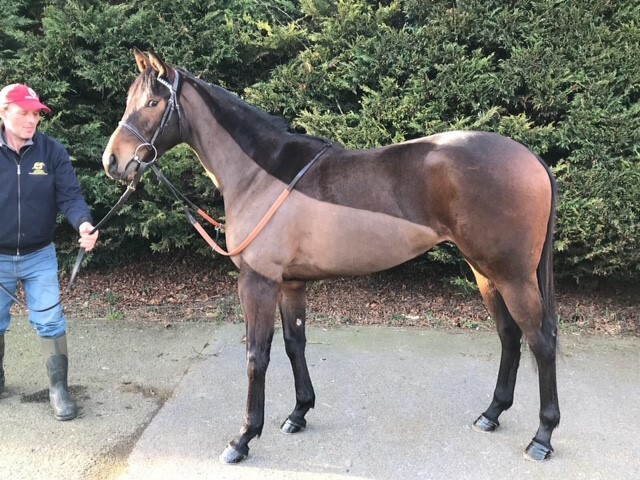 LAURA KENNY (2yo) was one of our first two-year-old runners of 2018 at Kempton. 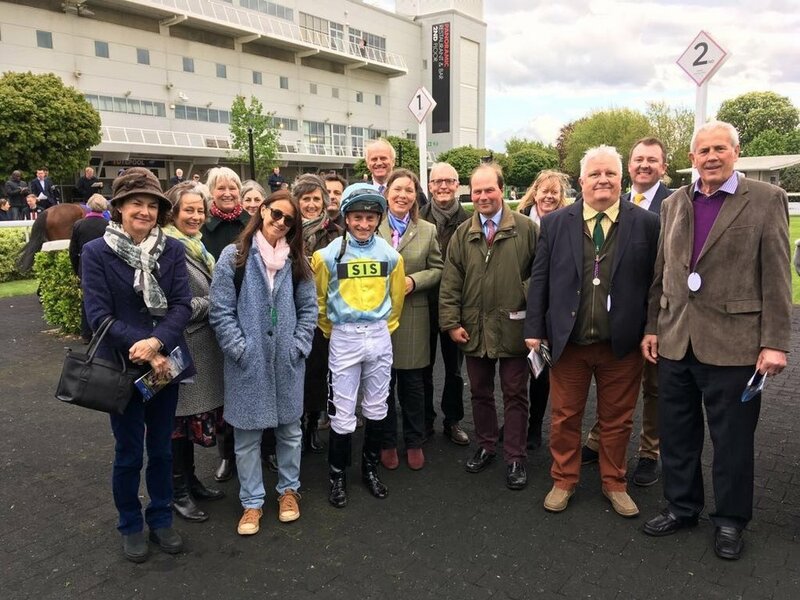 Harry’s new cycling syndicate Velocity Racing (pictured) had their first taste of racehorse ownership and she ran an encouraging race first time. Shining bright through the gloom were some fantastic Group results. ROBIN OF NAVAN (5yo) took in two races in nine days. Firstly, he tackled the Newmarket Rowley Mile Group 3 ridden by James Doyle where he looked half a furlong out to be the winner just tiring in the last 100m to finish a brave 4th behind some very good horses. Nine days later he ran in the Betfred 365 Sandown Mile Group 2 ridden by Frankie Dettori. The ground was desperate and yet he ran another mighty race holding 2nd place until 100m from the line where he finished 4th. Frankie was extremely complimentary about him and after a break he will be aimed at some exciting races in Europe. FIGHTING IRISH (3yo) by Camelot made his season debut at Newmarket in the recognised Guineas trial the Greenham Stakes Group 3 where he ran an excellent race over 7f to finish 5th just behind the winner James Garfield. As he enjoys the soft ground he then made a quick turn around and ran at Ascot in the Merriebelle Stable Pavilion Stakes Group 3 where he was the outsider and finished 4th just missing out on 3rd at the end. PIRATE KING (3yo) half brother to Dandino made a very eye-catching racecourse debut at Newbury and will be one to follow this season as he matures. Rain, rain go away and don’t come back for a long time! The horses and staff have survived biblical rain, hard frosts, hail, snow storms & floods and yet everyone is still smiling. Hopefully now Spring has officially arrived, and the sun is out the horses will begin to blossom in readiness for the turf season. This month has seen a few runners with the majority waiting for the better weather and turf. 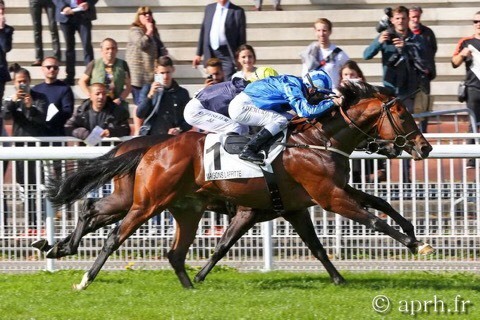 ROBIN OF NAVAN (5yrs) started his 2018 campaign with a trip to Chantilly (AW) for the Prix Montjeu where he finished a creditable 3rd only beaten just over a length giving nearly a stone away to the winner. He is in great form and holds some interesting entries for later in the year. EARLY MORNING (7yo) was an unlucky 4th in a Listed race at Wolverhampton just missing out on more Black Type. This wonderful old soldier needs good or fast ground, so this is a great time for him to have a short holiday whilst everything dries out. WHISPERING SANDS (3yo) ran another eye-catching race at Lingfield to finish 4th in a very hot maiden. Christina is taking a break from showing her pigs and has started training racing ponies! William Dunlop (10yrs) and his dun pony Seb (17yrs) made their pony racing debut at Ston Easton point to point earlier in March. To date he has had three starts and has been placed 3rd, 3rd & 4th. Most of the races are before or after racing at local point to point tracks. There is also a series of race days run by the Pony Club at bigger racetracks. It is every jockey’s dream to ride a winner at Ascot. For some it takes many rides to achieve for others it can be first time lucky. 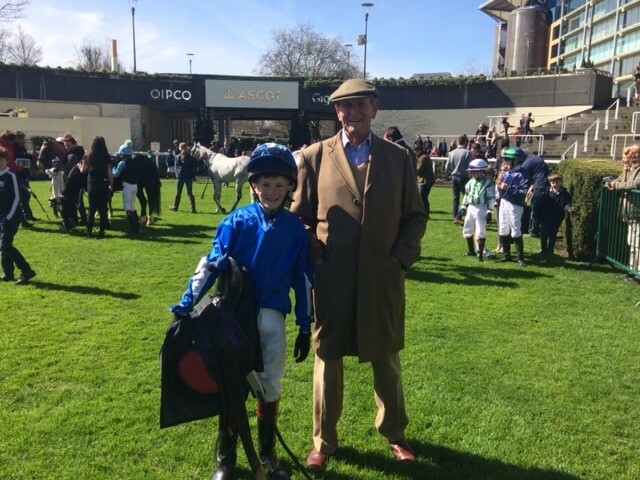 For William’s 4th ride he rode in the Novice Riders race at Ascot and was up against some seriously fast ponies and more experienced jockeys. In the paddock last minute advice was dispensed by his grandfather John Dunlop (pictured) and father Harry. He broke well and stole the race at the home bend and came home to win by 2 lengths. Led in by his brother Tom it was a magical moment for everyone. Let’s hope this is a good omen for the rest of the season!! Sadly, this year’s Lambourn Trainer’s Open day was cancelled due to the extreme wet weather. All the carpark fields were sodden making carparking impossible. Nicky Henderson was the only trainer who was able to open his yard. Despite the rain falling and the ever-growing puddles the crowd of people was enormous raising lots of much needed funds for the Lambourn Valley Housing Trust which provides affordable housing for stable staff and their families. Velocity Racing's first cycle visit to see Laura Kenny (IRE)! From a small team of All Weather runners we have had some great results. The first runner of 2018 was FLIGHT OF FANTASY (4yo) who made a winning return to Kempton Park when bolting up by 5 lengths. It looked like she had gone too early, but she just extended her long legs and kept on running. Delighted for breeder Peter Deal & co-owner Gerry Lowe. This daughter of Nathaniel then headed off to Wolverhampton where she finished 2nd over 1m4f. ASSANILKA (4yo) travelled to Lingfield Park to finish 3rd beaten a length over 1m2f. She then returned to the track where she so nearly won just beaten a nose on the line over 1m. It was an agonising head bob which saw her the winner just before and just after the line. A brave and gutsy filly who seems to thrive with age. 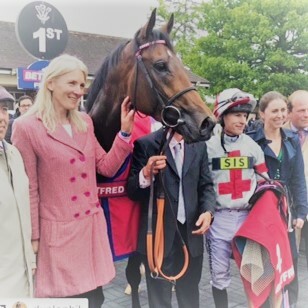 The evergreen EARLY MORNING (7yo) raced at Lingfield Park over 7f Class 2 where he finished a gallant 2nd racing from the widest draw and giving 9lbs to the winner and beaten less than a length. Another brave effort by him. LOOKING FOR CARL (3yo) made his debut at Lingfield Park finishing an eye catching 4th. 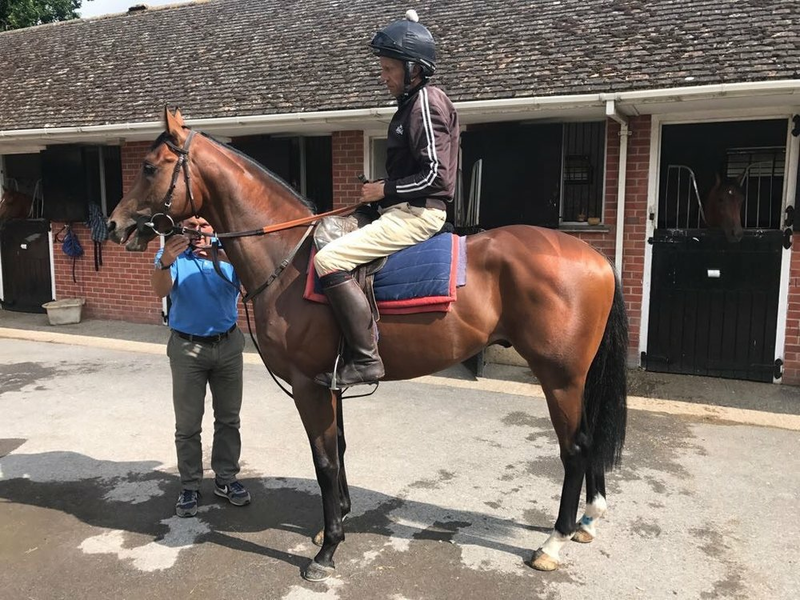 This son of Lope de Vega has been given time by his owners to mature into a lovely looking horse and hopefully their patience will be dully rewarded. JACKFINBAR (3yo) ran another encouraging race finishing 4th at Wolverhampton. He is French bred and will be aimed at races in France to make the most of those valuable French Owner Premiums. By super sire Dubawi out of Roses for the Lady (runner up Irish Oaks) WHISPERING SANDS (3yo) made her eagerly awaited debut at Lingfield Park. She ran a great race with her best work at the end which saw her closing in on the front runners to finish 3rd beaten three lengths over 1m2f. An exciting filly to follow this summer. Last year Harry joined some cycling friends on cycle trip to the Somme battlefields. During the long road rides an idea was hatched to create a racing syndicate for those who also had a mutual interest in road cycling. Velocity Racing was the result. This year they have leased a Dutch Art filly out of Lottie Dod, named after the five times Wimbledon Ladies Tennis Champion. It was decided it would be fun to continue the cycling theme when naming the horse and it was suggested that they approach Britain’s No.1 Olympic and World Champion Laura Kenny who straight away agreed to have the filly named after her. The recent weather has made it pretty unpleasant for both man and beast but the team here at Windsor House Stables have worked tirelessly to ensure all the horses needs are met despite battling with the elements. A record cold overnight temperature was recorded as -13! FLIGHT OF FANTASY (4yo) kicked off the new year with an awesome 5 length win at Kempton Park. This imposing daughter of Nathaniel led from start to finish skipping away from the field. Later in the month she made her first visit to Wolverhampton where she finished a brave 2nd. It will be interesting to see how she runs on the turf later in the year. Next up was ASSANILKA 4yo racing at Lingfield Park where she gave her owners plenty to cheer about when finishing 3rd. Group 1 winner & sire Aqlaam’s half-brother CARACAS 4yo made his final appearance for his owner/breeder when finishing 4th at Chelmsford over 2 miles. He will now head to the Tattersalls February sale on 2 February Lot 430 and would make a nice NH prospect. The evergreen EARLY MORNING 6yo gave another gutsy performance when racing at Lingfield Park where he finished 2nd giving the winner 8lbs and had the worse possible draw. This horse just never knows when to give up! LOOKINGFORCARL 3yo made an eye-catching racing debut at Lingfield Park where he finished 4th giving his owners plenty to look forward to for the future. The team have been busy repainting all the stable interiors in readiness of the new intake. The majority of 2yos have now arrived and settled into their new routine. The older horses have all returned from their various holidays and have moved into the main yard. 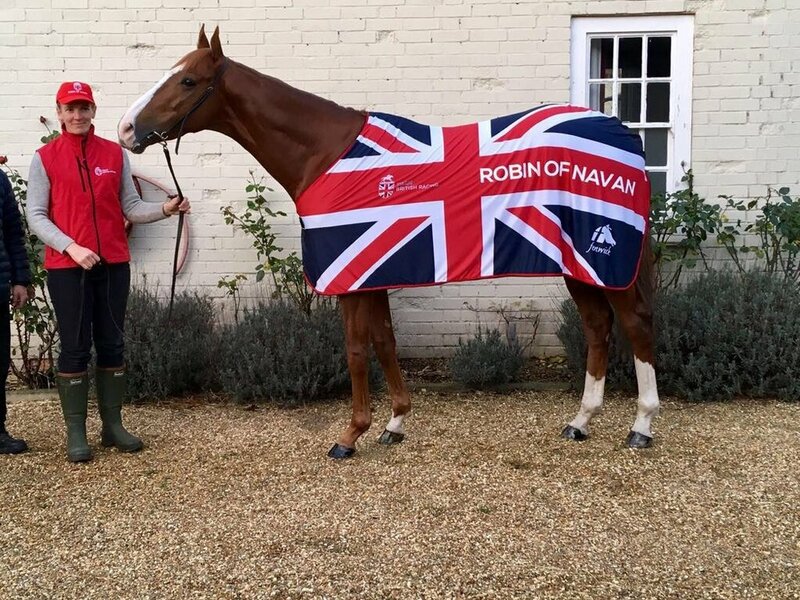 ROBIN OF NAVAN 5yo has received an invitation to compete in the Group 2 ITM Cup race in Doha, Qatar on 23rd February so may be adding another stamp in his busy passport. For 11yrs Sarah Scott has been first point of call in the office here at Windsor House Stables. She joined Harry Dunlop Racing in its infancy and has been part of the roller coaster journey of a racing yard. At the end of January, she will be leaving us to pursue other interests. Her role started as Racing Secretary but has evolved into other areas of running a racing yard including invoicing and human resources. Accompanied first by her ridgeback dog Bailey then in recent years Romeo, her loyalty and dedication to the job has been unquestionable and she has been a key part of the team that has taken Harry Dunlop Racing from grass roots to Group 1 level. She has become not just a valued employee but a family friend. She is a very talented artist and sculptress as well as accomplished dressage rider. We wish her well for the future. Joining the team is Jenny Newby. She has been involved with racing for most of her career including working for Ralph Beckett & Paul Cole and will be based in the office. 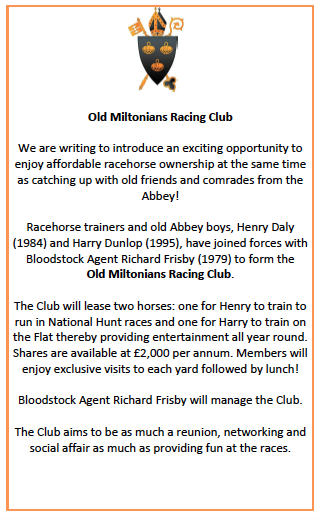 The contact details remain the same info@harrydunlopracing.com / 01488 73584. Good Friday, 30 March 2018. 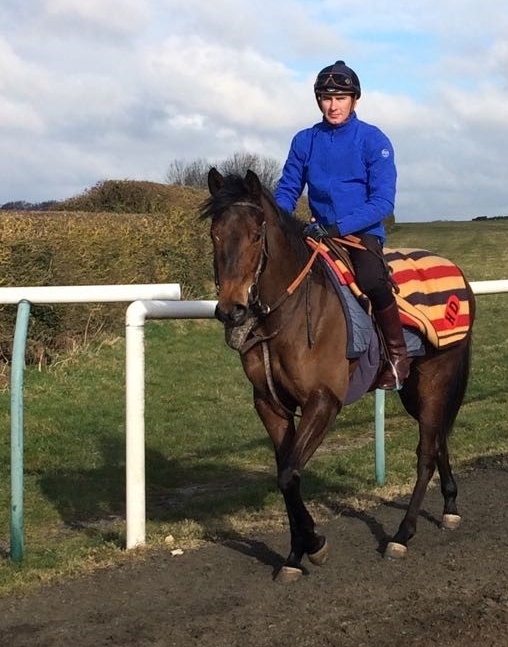 Stalwart stable star ROBIN OF NAVAN 4yo travelled by Road, Sea and Air starting with a trip to France. He opened his account with an eye catching 4th behind future Prix de Arc de Triomph runner up Cloth of Stars in the Prix d’Harcourt Group 2 at Chantilly, beaten just 2 lengths. Next stop was the Group 1 Prix d’Ispahan where he came agonisingly close to recording a second Group 1 victory when narrowly beaten by Mekhtaal in a pulsating finish with a record time. He quickly made amends by winning the Prix de Conde Group 3 in impressive style and another fast time. He then stepped up in trip and ran in the Grand Prix de Saint Cloud Group1 but halfway through the race incurred a muscular injury in his back. After some intense rehab he returned to sparkling form to finish 4th in the Prix de Moulin Group 1 over a mile behind Ribchester. A very impressive performance. Arc weekend beckoned, and he ran in the Prix Dollar Group 2 over 1m2f where he finished 5th in a blanket finish. With race options running out he ran at Newmarket in the Darley Club Group 3 where he finished 2nd to Monarchs Glen beaten only a length giving the winner almost a stone in weight. Then an invitation came from the Hong Kong Jockey Club to compete in their richest race the Hong Kong Cup over 1m2f for £1.2million. This was his first time flying. He ran a fantastic race finishing just out of the prizemoney and perhaps if the jockey had known him better he would have been considerably closer. He ran a total of 8 times either Group 3, Group 2 or Group 1 level and finished on a rating of 115. Yard favourite EARLY MORNING 5yo showed he had lost none of his racing enthusiasm when returning to the track after a life-threatening illness. He was 2nd on his debut at Haydock beaten by a horse carrying a stone less weight. During the summer when the ground should have been to his liking the conditions kept changing which was most frustrating. In the Autumn he regained his winning ways with a tear jerking performance at Lingfield Park. He then travelled to France and finished the year with a fantastic 3rd in a prestigious Listed race giving his dam Summer’s Eve a wonderful pedigree update. 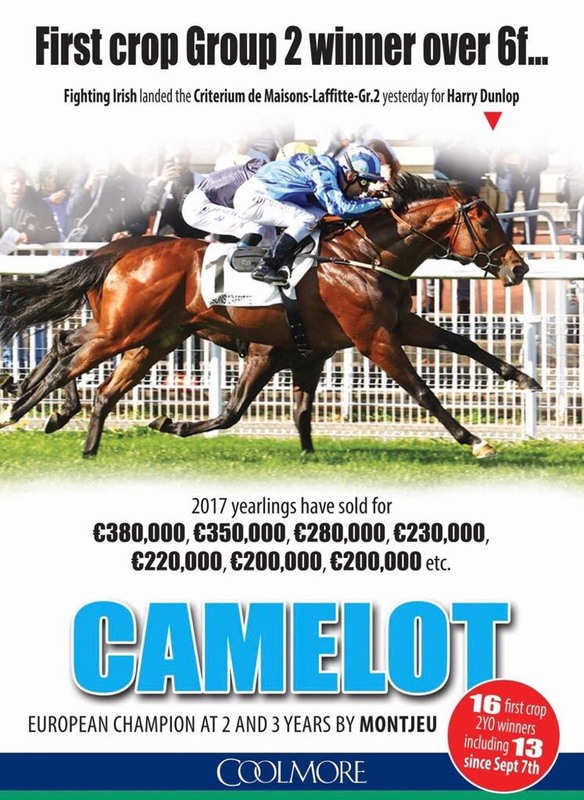 Camelot had his first season of 2yo runners and this saw his son FIGHTING IRISH 2yo reach the very top for his owners Daniel MacAuliffe and Anoj Don. This tough colt made his debut in May, ran 6 times, winning 3 races and placed twice. He won two class 4 races Salisbury and Yarmouth. The easy option would have been to find a small conditions race as his next target but that isn’t Harry’s style. Instead he travelled to France to contest the Criterium de Maisons Laffitte Group 2, one of France’s biggest 2yo races over 6f. Much to everyone’s delight he ran the race of his life to win with proven Group winner Nebo in 2nd. What a way to finish his 2yo career! Another 2yo colt to catch the eye was KNIGHT TO BEHOLD 2yo. This beautiful son of Sea the Stars so nearly caused one of the biggest betting upsets in the Haynes Hanson & Clark race at Newbury when just a flare of a nostril separated him and the winner on the line in his debut race. He quickly made amends when winning impressively at Newmarket. FLIGHT OF FANTASY 3yo also added to the winners board when scoring impressively at Leicester. She was most unluckily not to have another three wins to her name during the season when losing out in photo finishes. She had 6 places to add to her tally. JUST AN IDEA 3yo made sure he was a winner at both 2yo and 3yo when winning at Lingfield Park he was also placed 3 times. RUM SWIZZLE 5yo continued to be the apple of her owner’s eyes winning once and being placed 3 times during the year. She is such a character and anyone riding her out needs to be ready for her exuberance bucks! 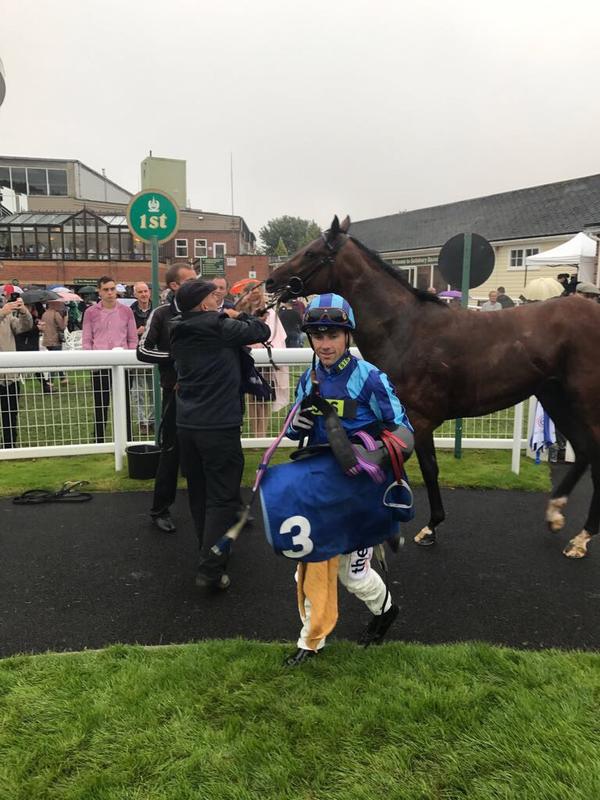 Susan Abbott and her racing partnership owners had lots of fun with their horse VIKING HOARD 3yo who returned to Salisbury to the scene of his 2yo victory to win again at 3 years old. They also managed to sell him well at the sales at the end of the season. JACKFINBAR 2yo colt began to fulfil his promise when winning at the third attempt at Wolverhampton in a tough maiden. He also ran well in his second race at Chantilly in the Arqana Sales race on Arc weekend. This had a prize pot of euros250,000 and eligible for any horse bought the Arqana October Sale. A wonderful weekend was had by everyone. Many others ran with much credit just missing out on a top podium finish. This included MISS TIGER LILY 6yo who had returned to the yard after a stint hurdling with Jamie Snowden. She ran 6 races and was placed 5 times. MY ILLUSIONIST 3yo was placed 5 times. Brothers STORM ROCK & COASTAL CYCLONE amassed multiple placings between them. Others to finish on the podium included ROCK ON DANDY, CARCAS, ASSANILKA, CHILLALA, LIGHTSOME, DUTCH STRANGER, ARACHINA & STAR OF VENDOME. From a small team of 36 runners some incredible results have been achieved. None of the above could be achieved without the fantastic team here at Windsor House Stables. Led by Head Lad, Phil Wright the staff have worked tirelessly throughout the year in all sorts of weather conditions to ensure every horse has the chance to realise its’ potential. A huge thank you also goes to all our amazing owners whose patience and belief in Harry and his team have lead to some amazing results. 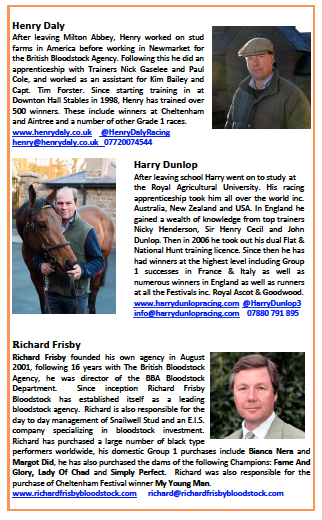 2018 looks an exciting year and who knows what might happen but one thing we do know is that Harry Dunlop Racing will continue to strive to achieve the best results possible for both owner and horse. Wishing you a very Happy, Healthy and a “Winning” New Year! 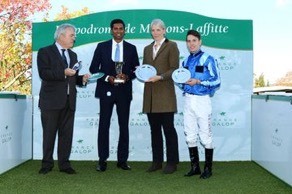 Fighting Irish won the Criterium de Maisons Laffite Group 2 in France on Friday 13th. An exciting colt that may run in a Group 1 next. 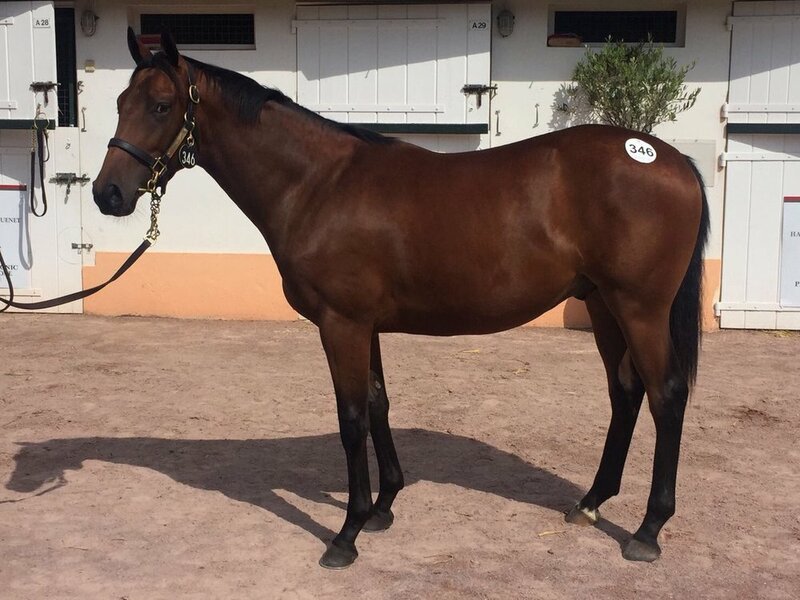 Exciting new purchase at Arqana French sale a sharp 2yo type to be an early runner in 2018 by Good French sire Palace Episode lot 346 his sister recently won at Deauville. Bought at Tattersalls October Yearling 2016 sale this stunning son of Casamento is half-brother to two Black type horses Just An Idea & Staisenzapenzieri. Both horses have proved themselves to be racy 2yo types. His half-brother, Just An Idea, 3rd in the Dragon Listed Stakes at Sandown, stayed in training as a 3yo with Harry and won his first start of the 2017 season. The dam EMRELIYA is from a truly wonderful Aga Khan family with every generation packed with Black Type winners. Emreliya herself was unraced but has produced two runners to date both Black type horses. The family includes Ebadiyla, Champion 3yo filly in Ireland as well as The Queen’s homebred filly Estimate winner of the Ascot Gold Cup. CASAMENTO is by European Champion juvenile Shamardal, also the sire of Lope de Vega. He won the Racing Post Trophy Group 1 and Beresford Group 2 in great style. His first crop of 2yos are tough progressive winners including Noivado, Kings Gift and impressive debutant scorer Glastonbury Song (entered for the Irish 2,000gs). 10 shares @ £3,500+VAT purchase + £3,000 training fees all inc one off cost. A unique colt with enormous potential for next year – could he be Just Another Idea! !